Cable basket for the Eaton RE rack 42U. The new RE Series of Racks from Eaton expands our ability to provide end to end solution for todays Converged Infrastructure (CI) applications. Building on the strengths of Eaton’s extensive range of power management and distribution products, the RE Series of pre-configured racks provide simple to choose options to meet the requirements of common application demands. 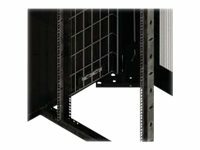 An extensive range of standard site configurable rack accessories including in-rack cable containment as well as equipment mounting enhancements allows users to enhance the rack to suit individual installation or user demands. 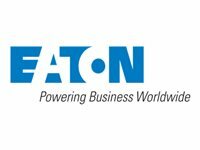 For applications where in-rack power draw is >1.5kW Eaton recommends selecting an RE Series Active Rack variant.